Spring has almost sprung for Olathe landscaping. The afternoons are starting to get warm and the sun is creeping out behind grey skies. It’s time to start focusing on the landscape once again. With that in mind, we wanted to talk about some amazing landscaping ideas for the spring. With 2018 in full swing, we’ve had time to see what landscaping ideas will turn into trends this spring. We believe we’ve pinpointed exactly how to turn your Olathe landscaping from dull to darling in the least amount of time. Climate matters in 2018, especially in Olathe, Kansas. If you’re making landscaping changes in the spring, you’ll want areas and spaces that you can enjoy through every season. At Huston Contracting, we found a few ways to help you with that. If you’re building an Olathe outdoor kitchen or a covered porch, you could also consider an outdoor fireplace. The fireplace design and area could be close to the kitchen or porch and provide ideal heating for the space during the cooler months. Managing how much water you use on your lawn and landscape is a huge trend coming into this year. You need to focus on low water usage Olathe landscaping trends. Obviously, an outdoor kitchen or patio won’t use much water. You can also build walkways, incorporate an energy-efficient irrigation system, and add plants that don’t require a lot of watering. Sage and Lavender Cotton are two of our favorites here at Huston Contracting. Keeping with the theme, eco-friendly innovations are all the rage in the landscaping world these days. Things like low emission lawn mowers, leaf blowers, and more have taken over the market. The best way to help the environment while still keeping your lawn looking great? Install an irrigation system that use smart technology to keep the lawn watered, but conserve as much of it as possible. At Huston Contracting, we’ve recently started installing some of these systems and have seen insanely positive results. Many of our customers who have said systems have cut their watering bills in half – while their lawns look better than ever before. Suffice to say, we’ve got a lot of great feedback from these systems. Let’s Tackle These Trends Together! With spring upon us, it’s time to start paying attention to your Olathe landscaping. If you’re ready to take your lawn to the next level, then get in touch with our team at Huston Contracting. 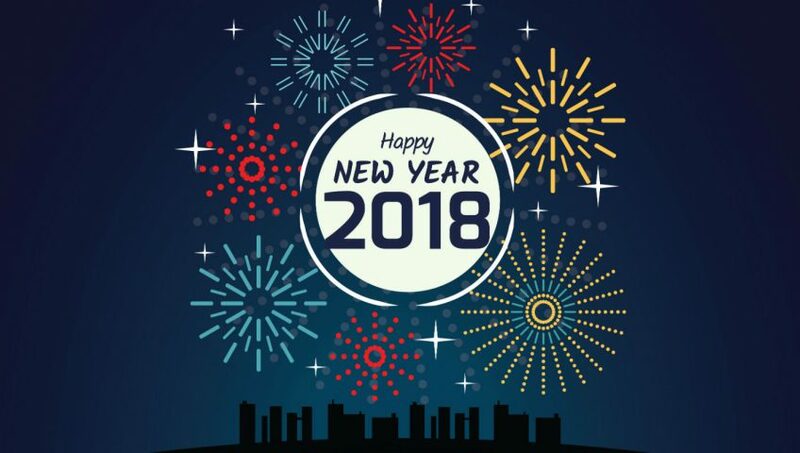 We look forward to working with you this year! The winter has come and almost gone. Spring is sure to be here sooner than later. It’s time to get your landscaping in order, especially if you’ve neglected things this winter. Luckily, that’s what we’re here for. At Huston Landscaping, we’re here to help you design the commercial landscape of your dreams in 2018. Each and every year, more companies are focusing on giving employees access to outdoor spaces designed for functionality. Most corporate areas have tons of unused space, especially outdoor. If you have a rooftop, it’s not too tough to turn the space into a roof garden filled with unique landscaping elements and green space. Outdoor sitting areas are also very popular. Every employee needs a wireless area throughout the day and many commercial landscaping projects are taking this into account. Speaking of making use of unused spaces, place-making does just that. Many commercial landscapes feature vacant spaces between buildings or structures. Instead of letting these spaces go to waste, many companies are incorporating place-making. Place-making is the art of using these spaces to create sitting areas filled with fountains, sculptures, and more. Many times these spaces can change a corporate, commercial space into something uplifting and relaxing. In many a roof garden or sitting area, it’s easy to incorporate native plants and flowers into these spaces. At Huston Contracting, this is one of our specialties. We can help you add plants to all your commercial landscaping spaces in Olathe, Kansas. Green commercial landscaping has become a priority for many a business. Most companies have a green initiative in place to help them add plants, landscaping, and more. Occasionally, these plans include increasing the efficiency of a space with solar panels and more. Gone are the days of just black and grey concrete and asphalt. While these are still used, many commercial landscapes also incorporate concrete that features different designs and colors. This is especially true in entrance ways and other areas with a lot of foot traffic. If your commercial landscape could use a little sprucing, but you don’t have many green spaces options – we suggest stained concrete. This creates a unique contrast and can look absolutely stunning when installed properly. 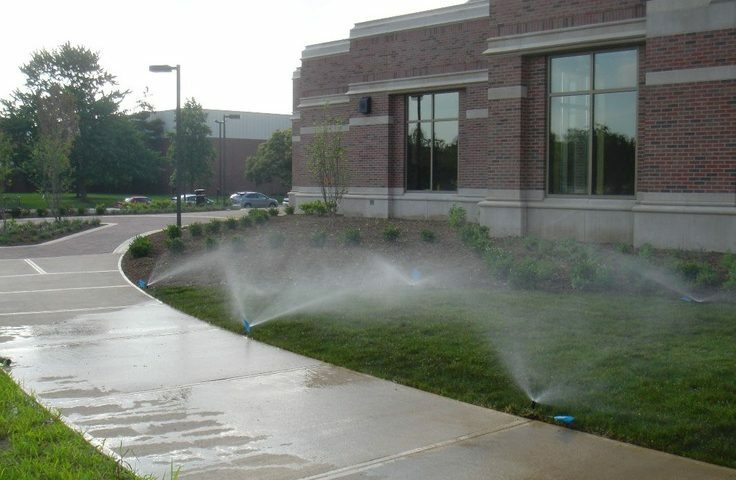 At Huston Contracting, we always recommend commercial landscaping includes responsive irrigation. Often, commercial spaces are vast and hard to take care of. With responsive irrigation systems, you can stay on top of watering the green spaces without breaking the bank and wasting resources. These systems often only provide irrigation when it is totally necessary. If Mother Nature is doing her job, then the system simply conserves resources. If responsive irrigation is what your commercial landscaping in Olathe needs, we’re here to help. If you’re looking to improve your commercial landscaping in Olathe, get in touch today! At Huston Contracting, we have numerous design options available in 2018. Plus, it’s the perfect time as spring is just around the corner. When Is It Time to Redesign Your Landscaping? With spring coming, many people are wondering when is a good time to redesign their Olathe landscaping. While we’re firm believers that there’s no bad time to redesign a landscape, there’s a few rules to follow that ensure you get the most out of your time and money invested. When is the best time to redesign your landscaping? You can begin redesigning your Olathe landscaping whenever you please. There’s different ways to improve your lawn and landscaping in every single season. However, certain jobs are better completed at different times. For example, you’ll want to plant most plants towards the beginning of spring or the end of summer. This depends on the plant, but generally gives them the best chance to plant roots and grow during the mild temperatures of spring and fall. In the winter, you have a great opportunity to improve your landscaping infrastructure. Spaces like outdoor kitchens, fireplaces, and more can all be installed during the winter months when there’s no snow around. In the hot summer months, your landscaping is easiest to mold. You can do a lot of projects during this time. We often recommend completing projects like irrigation systems, retaining walls, and more during these warm months. Now, every single landscape is different. There’s no perfect or exact time to redesign your landscaping. Generally, it all comes down to the individual or family. It comes down to when you’re ready to redesign your Olathe landscaping. You have to be ready to invest your time and potentially, your money, into your new landscape design in Olathe. If you’re not willing to invest resources, then it’s not a good time to redesign. If your landscape is enough of a priority to invest resources, then it’s time to get going. Huston Contracting and Landscaping is here for You! For many Olathe residents, the landscape becomes a priority in the springtime. This means the sun starts shining, weather warms up a bit, and you realize that the lawn needs a little love and care. We’ve been there, too! If that’s you, then it’s time to get going. Make a list of landscaping projects you want to complete. Decide which projects you can do by yourself. Then see if anything would require professional help. If so, get in touch with the pros at Huston Contracting. 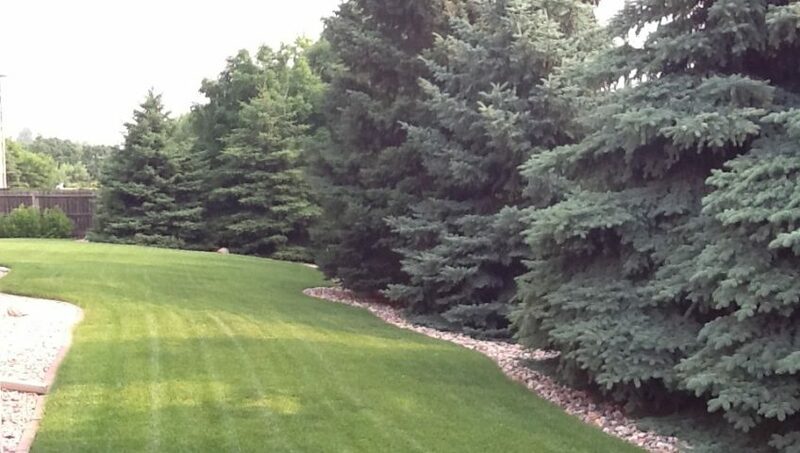 As the premier Olathe landscaping contractors, we’re here to make your lawn look great, again. Just get in touch. We look forward to helping you with projects like planting, outdoor kitchens, irrigation systems, and so much more! What’s New in Landscaping For the New Year? The New Year is finally here and it’s cold as can be! You walk outside and the cold air hits you like a ton of bricks. You shiver and shake as you start the car and wait for it to warm up. While those five minutes in the morning might be miserable, that’s all day, every day for your Olathe landscaping. Luckily, the cold won’t last forever. 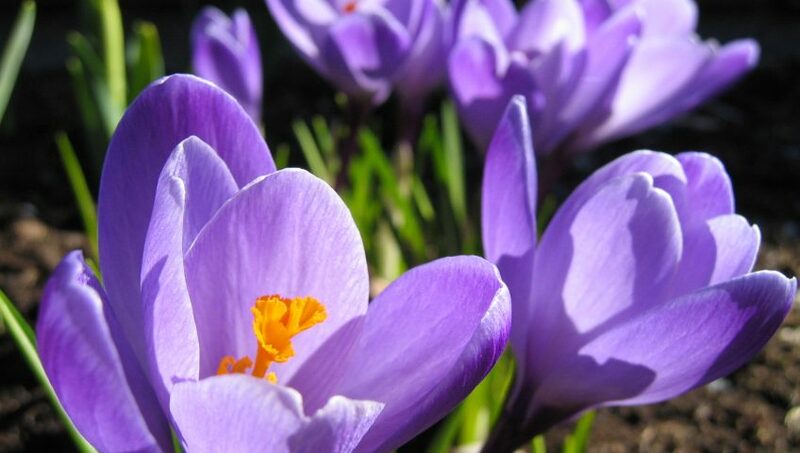 Within a few months, the winter weather will be gone and spring will have sprung. The grass will green, again, and soon you’ll be sweating when you step outside. Before the grass gets green, it’s time to prepare your landscaping for the New Year. But, how do you do that? How do you capitalize on landscaping trends in 2018 and create an amazing yard? While you may have a ton of Olathe landscaping to work with, don’t neglect the small spaces. With a little attention to detail, you can take any yard and turn it into the amazing landscape you’ve always dreamed of. One easy way to take a small landscape and make it look incredible? Add Japanese garden elements into your landscape. Japanese gardens focus on nature and completely natural spaces while incorporating streams and flowing water elements. If you’re creating a stunning garden space throughout your landscape, it’s important to not spread yourself or your plants too thin. What does this mean? Well, a lot of things. In 2018, one of the trends we noticed is planting same species plants in close proximity to create a “social network” within your garden. While plants can talk, that doesn’t mean they don’t communicate in some fashion. We’re not trying to get too “new age” on you here. Just stating that it’s often beneficial for species to be plants close together. It’s great for the health of the plants, but it can also make your garden pop. Each and every year the popularity of water features throughout Olathe landscaping tends to increase. There’s just something soothing about watching water move while sipping a hot cup of coffee on a spring morning. So, what type of water features are popular these days? Well, we’ve seen a couple trends. 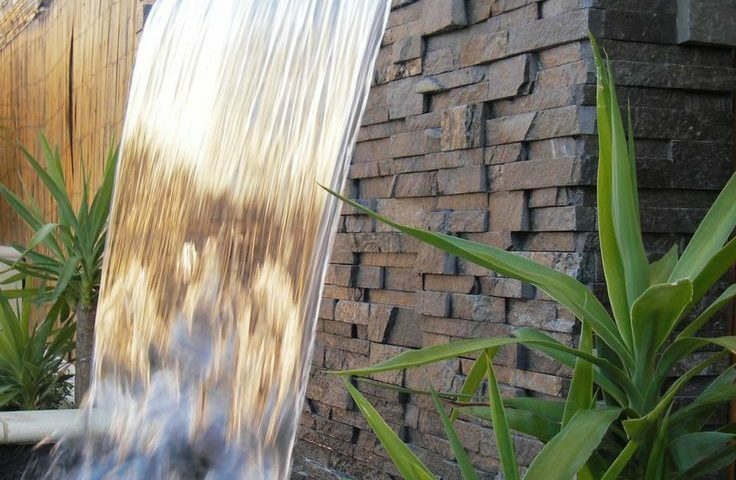 Most people are opting for pondless waterfalls or natural creek beds. Both offer a stunning, yet natural addition to landscaping. Let’s Create Your Ideal Landscape in 2018! If you’re ready to take your Olathe landscaping to the next level in 2018, then you’ve come to the right place. Get in touch with our landscaping professionals here at Huston Contracting and let’s put together the perfect plan. It’s that time of year. While fall has been mild and November has seen a little sunshine, there’s no denying winter is around the corner. With the weather about to cool off, there’s a few fun ways to handle your unique Olathe landscaping. At Huston Contracting, we know the grass isn’t green and the leaves are gone. 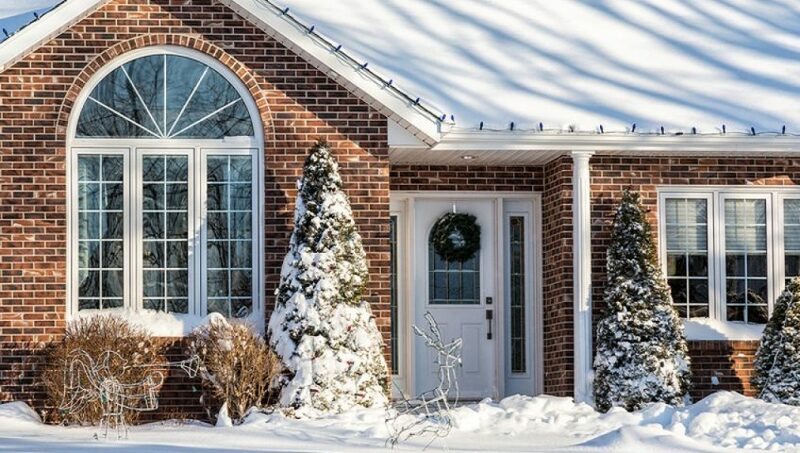 That doesn’t mean your home can’t look fantastic in the winter months. With a few tweaks here and there, your yard can still be the talk of the town – even when many a conversation happens around the fireplace inside. First and foremost, you must keep everything tight and tidy in the winter. While the grass won’t be green and the flowers certainly aren’t blooming, you can still have a yard that looks pleasing to the eye. How? By cleaning up every little thing. Rake debris and leaves up every month. Clean the gutters out. Trim the shrubbery before the first snow. By handling the little things on a consistent basis, you’ll prep your yard to look lavish come snowfall. Speaking of snowfall, there’s no tree that looks better in the winter than an Evergreen. And if you’re concerned about having an amazing looking yard in the winter, you absolutely must have a few Evergreens around your property. Luckily, it’s not too difficult to plant full-grown Evergreen trees throughout your landscaping before the first snow hits. There’s a little more to it, but the staff at Huston Contracting can certainly help you figure all that out. Of course, lighting is essential in the wintertime. Christmas lights are all around us and they can be quite stunning. However, there’s more to lighting than the bright lights around Christmas. In fact, that’s not even what we’re recommending here. Strip lighting is what we’re talking about. If you have outdoor structures or walkways, which most of us do, then strip lighting is a great way to add to your Olathe landscaping during the winter months. Strip lighting especially looks great when placed under outdoor stairways. Last, but not least – snow can look absolutely amazing covering your yard. However, it can be damaging when covering your concrete structures, like a driveway or walkway. Luckily, there’s a simple solution. The Olathe landscaping pros we have on staff can help you get rid of it. Here at Huston Contracting, we offer professional snow removal services for any type of driveway or walkway. If it snows, we can clear it off. Don’t work hard all spring, summer, and fall only to let winter ruin your landscaping. Get in touch with us here at Huston Contracting and we’ll help turn your home into the talk of the town as the snow comes down! It’s happening. 2017 is winding down and 2018 is sure to be here soon. While many assume the winter weather means no landscaping news, that’s simply not true. At Huston Contracting, we truly believe you can improve your lawn at all times – no matter the season. As such, we wanted to put together a list of all of us with green thumbs. If you’re looking to head into 2018 with a much improved landscape, then you’re in the right place. From advanced Olathe outdoor kitchens to unique fire features, adding technology to landscaping is a trend that’s growing like crazy. And the craziest part? 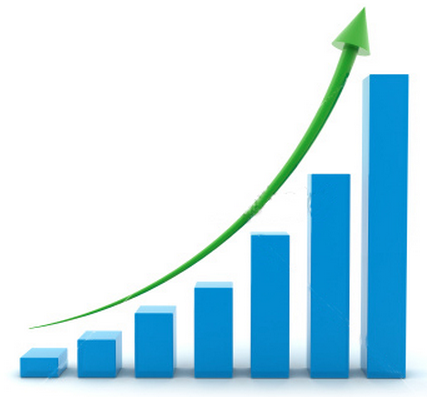 There’s no end in sight for the growth. One easy way to add technology to your landscape? Try adding an automated fire pit or fireplace to your outdoor living areas. These unique pieces spark up with the press of a button and look stunning. Christmas lights aren’t the only type of lighting that can brighten up a landscape, especially in the cooler months. 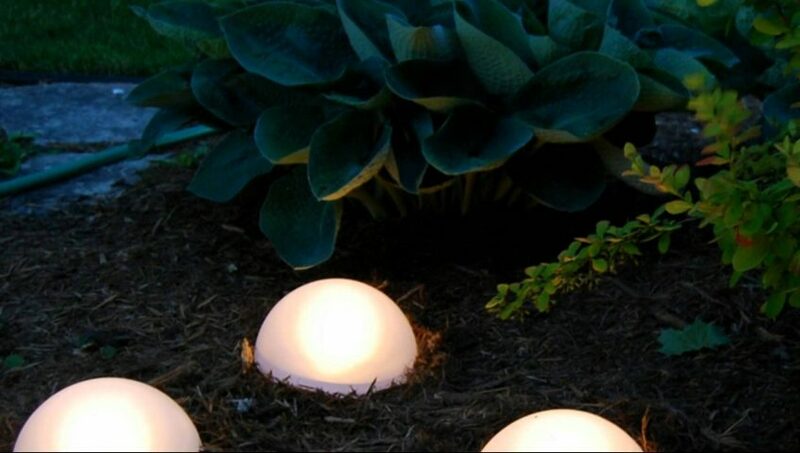 No, you can also incorporate a variety of lighting options into your home’s landscape. One fun way to add lights to your landscape is to illuminate a walking path. Just add lights every 1-3 yards along the path. Use an autotimer to ensure the lights always turn on when it’s dark and you’re all set. Natural materials that mimic the look of real stone or real wood have become all the rage. Why? Because these materials look amazing without any of the added hassle of taking care of the wood or stone. As these materials are less susceptible to degrading or looking worn down, many homeowners have found the materials last significantly longer than their “real” counterparts. Many homeowners have been investing in stained concrete patios for their outdoor living spaces. The unique colorways and long-lasting design that concrete offers ensures an outdoor kitchen or living room looks ideal for years. Many homeowners have suffered from flooding or water pooling on their properties. As such, drainage solutions have become popular. While each home is different, the experts at Huston Contracting have found simple solutions tend to offer huge benefits for many homeowners. Drains, re-routing, and irrigation systems have all proven beneficial. The Landscaping You Want & Need! No matter what landscaping trends you’re into, the professional landscapers at Huston Contracting are here to help. As Olathe landscapers, we’ve helped thousands of families create the landscape of their dreams. We can’t wait to help you do the same. Get in touch today!